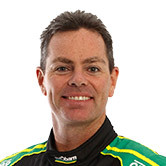 Craig Lowndes will turn his first Supercars laps of the year at the Tyrepower Tasmania SuperSprint next month. The Symmons Plains event kicks off with a 30-minute, additional-driver session on the morning of Friday April 5, with a host of co-drivers expected to take part. 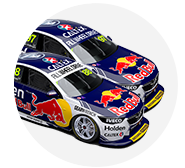 Lowndes retired from full-time competition at the end of 2018 but remains with Triple Eight and reunites with Jamie Whincup in the PIRTEK Enduro Cup. The three-time champion's last laps in a Supercar came in his farewell event, November's Coates Hire Newcastle 500. 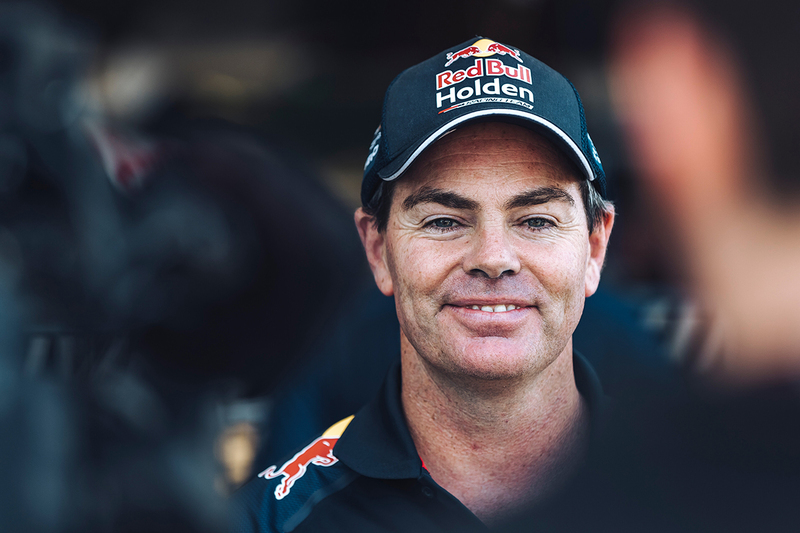 He has subsequently driven a Red Bull Holden Team Commodore on an airfield at the squad's 2019 launch, and contested the Liqui-Moly Bathurst 12 Hour in a Mercedes. 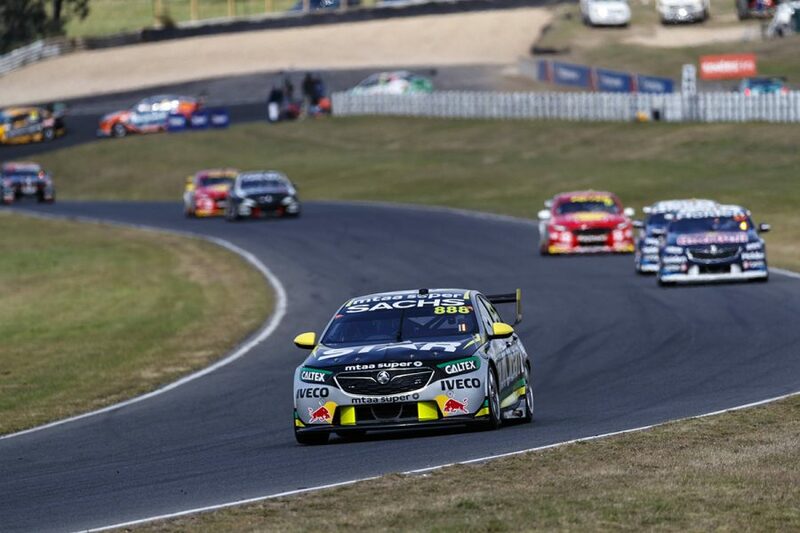 While Red Bull HRT co-driving recruit Garth Tander got a short stint in Shane van Gisbergen's Holden in the pre-season test, Lowndes did not travel to Phillip Island. Tander is also scheduled to participate in the Symmons Plains session as part of his acclimatisation. Lowndes is the defending race winner at the Tasmanian circuit, having taken a drought-breaking ARMOR ALL Pole and victory on the Sunday last April, below. "It's a track I know very well and I've had great success there," Lowndes, who will revert to his Fox Sports role for the rest of the weekend, told Supercars.com. "I'm looking forward to getting back in the car and seeing the progression of where the team has taken the car, in knowing the linear spring [dampers] and everything we've been talking about, with where the car's at. "Talking to both Jamie and Shane over the last couple of meetings, it has been a bit of a shake-up with the linear spring. "Triple Eight haven't used a single-spring for a long time, so to get their head around that, get the balance right, get the tyre life, making it last the distance it needs seems to be the key. "Hopefully we can help that progression in our session down at Tassie." Having been Supercars rivals for two decades, Lowndes and Tander will be in the unique position of sharing a garage. 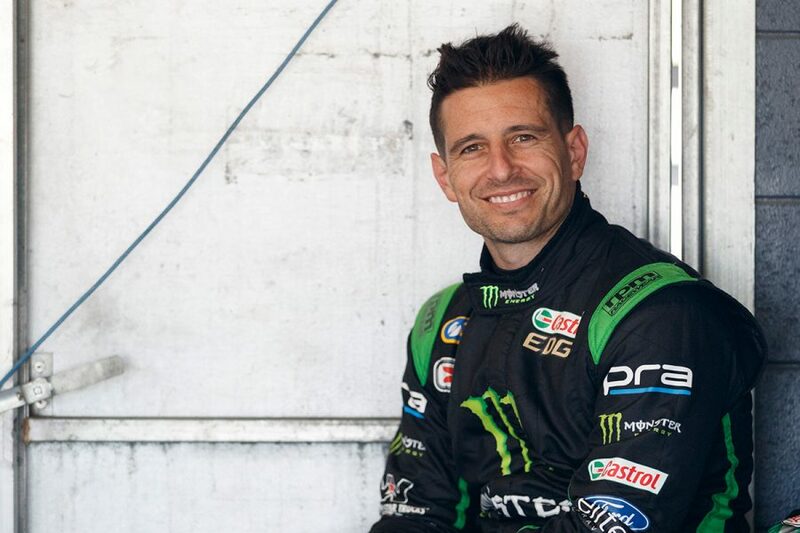 Triple Eight swooped to sign Tander in the wake of his surprise split with Garry Rogers Motorsport in January. "That was a huge shock to all of us, what happened to Garth," Lowndes said. "He's picked up a great spot with Shane and no doubt both of us will have some fun down in Tassie, go head-to-head again but just in a co-driving role. "It's a little different but hopefully we can give a direction to the team on where they need to go and what they need to do on the cars to help both Jamie and Shane over the course of the weekend." This year's Enduro Cup starts with the Supercheap Auto Bathurst 1000 rather than Sandown 500, placing a premium on miles through the season. Most teams canvassed by Supercars.com have confirmed they will have co-drivers in action at Symmons Plains, including Shell V-Power Racing with Tony D'Alberto but not Alex Premat. Penrite Racing (Luke Youlden and Will Brown) and Mobil 1 MEGA Racing (Jack Perkins and Warren Luff) will have full quotas. Tickford Racing has three confirmed co-drivers making the trip in James Moffat, new recruit Michael Caruso, above, and Alex Davison. It will also give Thomas Randle the session in Lee Holdsworth's Mustang, following a brief outing at Phillip Island. Randle is expected to partner Holdsworth in the Enduro Cup but Tickford says the run is currently "just more Supercars seat time" between Dunlop Super2 Series rounds. Brad Jones Racing is also taking an almost-complete line-up with Ash Walsh and Tim Blanchard, who are set to partner Tim Slade and Nick Percat. A co-driver for the Blanchard-owned Team CoolDrive entry of Macauley Jones is to be finalised. Boost Mobile Racing has indicated it is not planning on taking part in the session. Chris Pither was Tander's 2018 co-driver and won last year's Super2 crown for GRM and is expected to stay on for this year's enduros.